A. How popular is Facebook in your country? Who uses it the most, adults or teens? Is it more or less popular now than it was a few years ago? 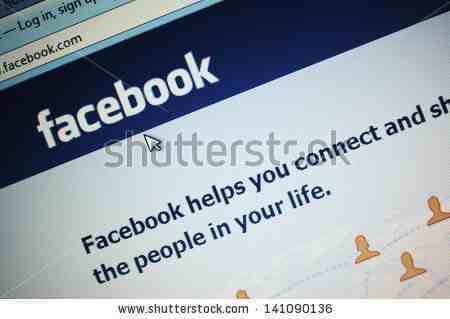 Do you think the demographic (group of people characterized by age, wealth, location etc) of Facebook is changing? If so, what's the significance of this? B. Open the text and only read the title and first paragraph, which phrase below do you think NBD could mean? C. Now quickly read the rest of the article and see if you can work out why it might not be a problem for Facebook to lose it's younger followers. Did you work out why it might not be a problem? If you did, well done, if not, don't worry we're going to look more carefully at the text now and find the answer. D. See if you know the answers to these questions. Read the text again to help. Write your answers in full sentences and when you've finished check them below. 1. In the first paragraph the writer says 'Yet another study', why? 2. How is the latest study different from previous ones? 3. Who does the study claim is responsible for the decline in popularity in teenagers? 4. What was appealing about this particular social network site for teens, which is now no longer attractive? 5. How would you explain the term a 'hyper-connected younger demographic'? 6. Which social networks, which are replacing Facebook, are mentioned in text? 7. As we read, Facebook was aware of its decline in popularity with teens. Were they concerned? 8. How has Facebook changed recently? 9. What's Mark Zuckerberg's dream for Facebook, his company? 10. According to the writer who is now the target audience of Facebook? 11. What does the writer mean but 'teens...snapping each other'? 12. In section C I asked why it might not be a problem for Facebook to lose it's younger followers? What's the answer? 1. In the first paragraph the write says 'Yet another study', why? The writer is making the point that there have already been a lot, or possibly too many surveys on the popularity of Facebook. 2. How is the latest study different from previous ones? This study is based on ethnographic data rather than simply statistical information. 3. Who does the study claim is responsible for the decline in popularity in teenagers? Parents are blamed for the declining popularity of Facebook with teens. 4. What was appealing about this particular social network site for teens, which is now no longer attractive? Before, the site was a community for young people to stay in touch without being observed by their parents. Since it has become popular with all ages, teens feel they have no privacy. 5. How would you explain the term a 'hyper-connected younger demographic'? A hyper-connected younger demographic implies teenagers (as a group) who constantly use the internet. 6. Which social networks, which are replacing Facebook, are mentioned in text? According to the anthropologist Daniel Miller, teens now use Twitter, Instagram, WhatsApp and Snapchat instead of Facebook. 7. As we read, Facebook was aware of it's decline in popularity with teens. Were they concerned? The writer quotes Facebook as saying the study is of 'questionable significance,' this suggests that the loss of teens to the social site may not be important. 8. How has Facebook changed recently? It has included news feed to its site to share news and current events. It hopes to provide more meaningful information for its users and follow current trends. Moving away from simply exchanging conversation and 'selfies' between friends. 9. What's Mark Zuckerberg's dream for Facebook, his company? Zuckerberg wants Facebook to resemble a newspaper, personalised for each user. 10. According to the writer who is now the target audience of Facebook? The target audience now seems to be adults. 11. What does the writer mean but 'teens...snapping each other'? This means teenagers taking photos of each other. 12. In section C I asked why it might not be a problem for Facebook to lose it's younger followers? What's the answer?It's not a problem for Facebook to lose its young users because advertisers and publishing partners require an adult demographic. E. Look at the article again. This time see how the writer does the following in their text. 2. Leading paragraph saying your main idea and what you plan to discuss. 3. Catchy paragraph headings which grab your attention. 4. Links to other articles proving your argument. 5. One point discussed in each paragraph with two or more examples proving the point. 6. A concluding paragraph which restates (says again) what you said in the introduction. F. Write an article about something which isn't popular any more. Choose something which was commonly used but has now become unnecessary or old fashioned. 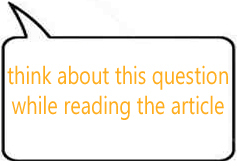 Remember to use the article as a guide to writing your own text. 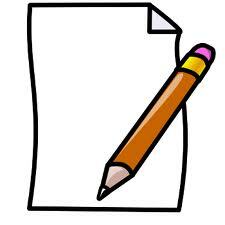 Follow all of the tips above (1-6) to help write a clear and structured text.